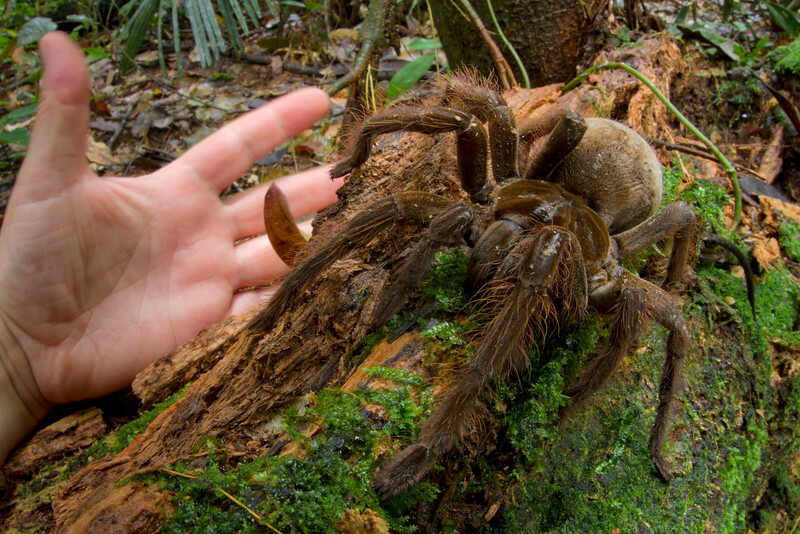 Goliath birdeater (Theraphosa blondi) is the largest spider on the planet. 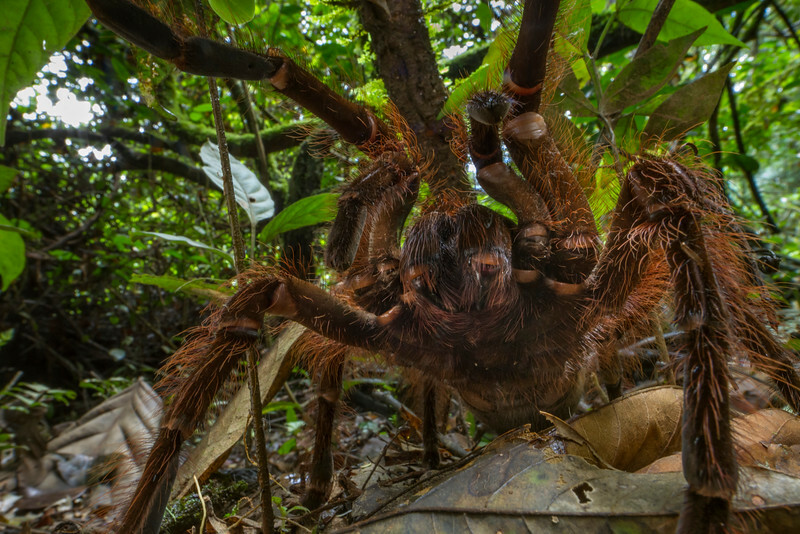 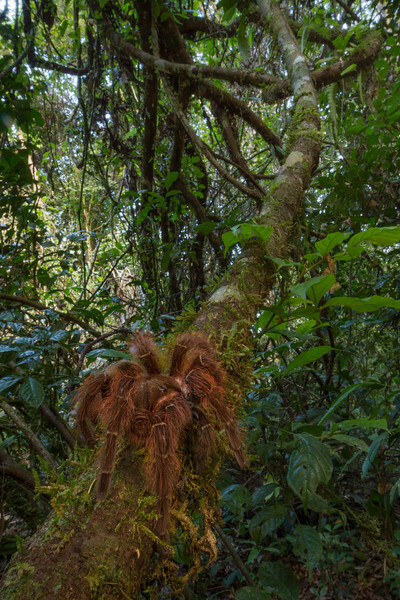 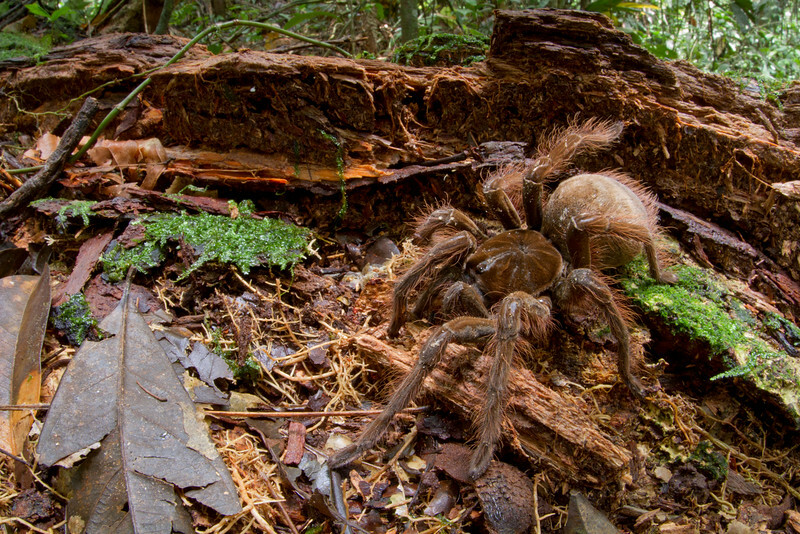 Goliath bird-eating spider (Theraphosa blondi) is the largest spider on the planet. 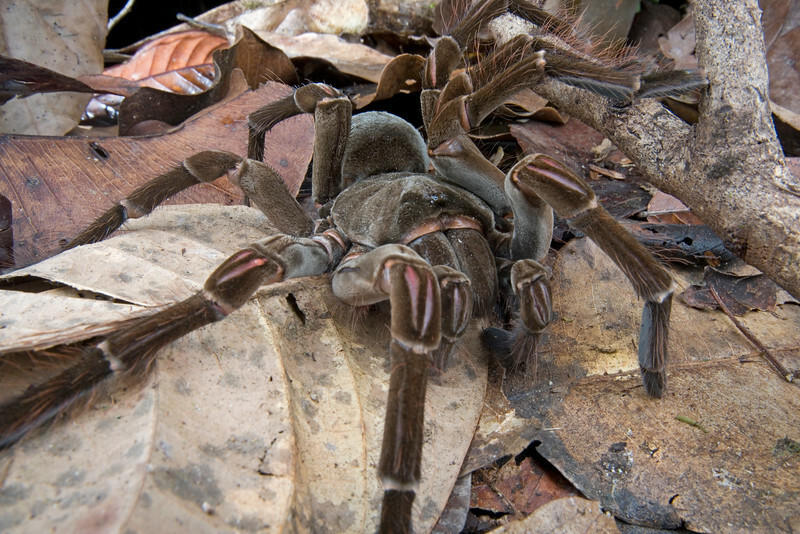 An adult female, like the one pictured here, can reach 30 cm leg span and 120 g (more than 1/4 lb) body weight. 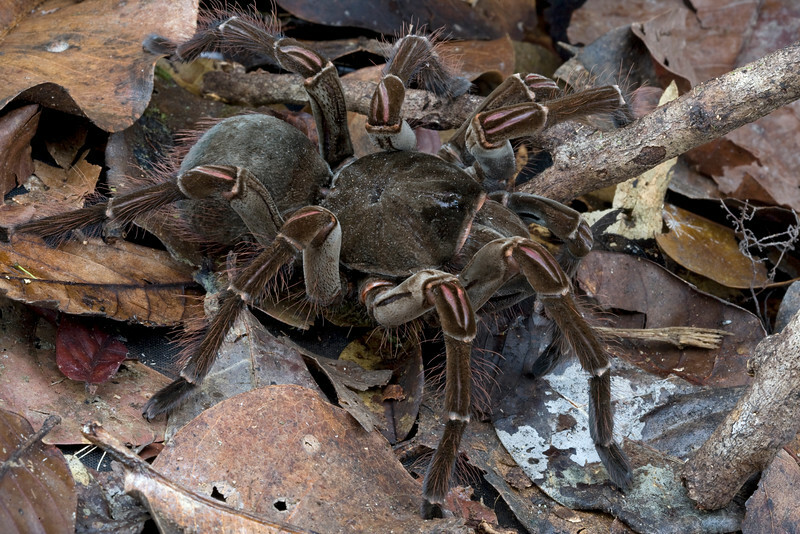 This is one of few spiders with clearly audible footsteps. 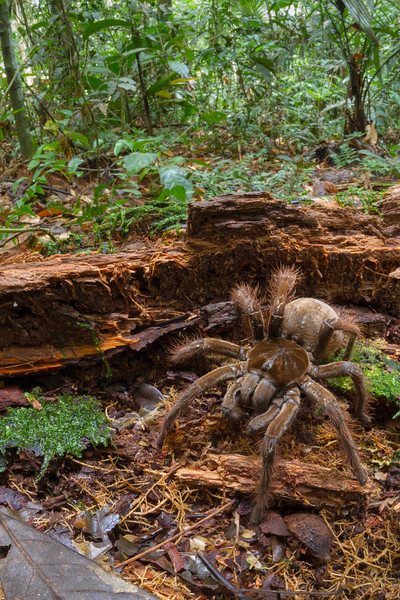 Despite the name these spiders feed mostly on invertebrates, frogs, and mice.